Home10/15/15 US U23s Advance to Playoff, USMNT loses again, Carmel Regionals Tonite, MLS Playoff Picture, Champions League Next Tues/Wed. 10/15/15 US U23s Advance to Playoff, USMNT loses again, Carmel Regionals Tonite, MLS Playoff Picture, Champions League Next Tues/Wed. So you can tell since I am leading off with the U23’s that I don’t have much to say about the USMNT performance vs Costa Rica after the huge loss to Mexico. My mom taught me long ago if you don’t have something good to say – don’t say anything. Listen at this point the way this USMNT team is playing – we might not even qualify for the World Cup with the German in charge. Great to hear the U23s beat Canada to advance to a 2 game playoff with Colombia for an Olympic birth. I would think the US will call back U23 players like John Brooks, Deandre Yedlin and of course Morris to help in those games vs Colombia next March but we’ll see. Meanwhile the US men need to figure out something before WC qualifiers begin next month as we look ahead to the Copa America (lets hope in the US next summer). League play returns in Europe this weekend with a new boss in charge at Liverpool as they face Tottenham Sat 7:45 pm, a matchup for Tim Howard and Everton at Man U @ 10 am both on NBCSN Sat AM. Sunday has Inter @ Juve at 2:45 pm on beIn Sport ahead of a pair of solid MLS matchups with Houston vs Seattle at 5 pm on ESPN and LA @ Portland @ 7 pm on Fox Sports 1 – both these games with huge playoff implications in MLS. Closer to home the Indy 11 are home again this weekend and next for their last 2 games this year. Its Christian Nicht bobblehead night this Sat night – 7:30 pm at the Mike – also on Ch 8 and ESPN3. So Euro Qualifying became quite exciting on the last 2 days and teams jockeyed and battled for those last coveted spots along with the playoff slots for the Euro 2016 in France next summer. The Netherlands losing and being knocked out was quite a shock at the Finalist and Semi-finalist for the last 2 world cups faltered without Arien Robben-who was hurt. Great to see newcomers like Iceland, Northern Ireland and Wales make the finals – while the playoffs for the final 4 slots – next month continue with four seeded teams (Bosnia & Herzegovina, Hungary, Ukraine and Sweden), against Ireland, Norway, Denmark and Slovenia. 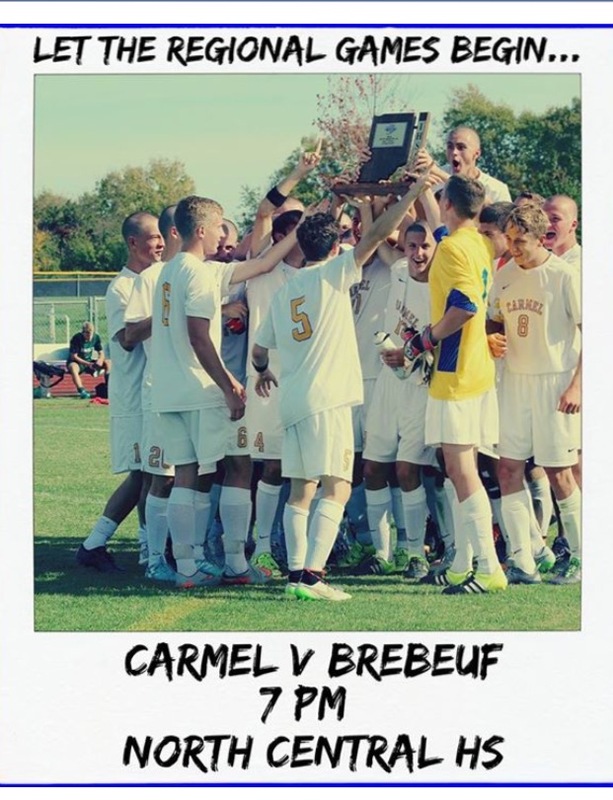 Locally the Carmel High Men’s Soccer team took the Sectional Championship for the 3rd straight year and head to Regionals at North Central vs Brebeuf tonight at 7 pm. Brownsburg plays Lawrence North at 5 pm with the Regional Championship Sat at 2 pm. In girls play Zionsville (who beat Avon in OT) will host Brebeuf on Sat at 10 am in the Sectional Finals while Fishers faces Marion at 1 pm at Logansport. Mt Vernon will host Centergrove in 1A. 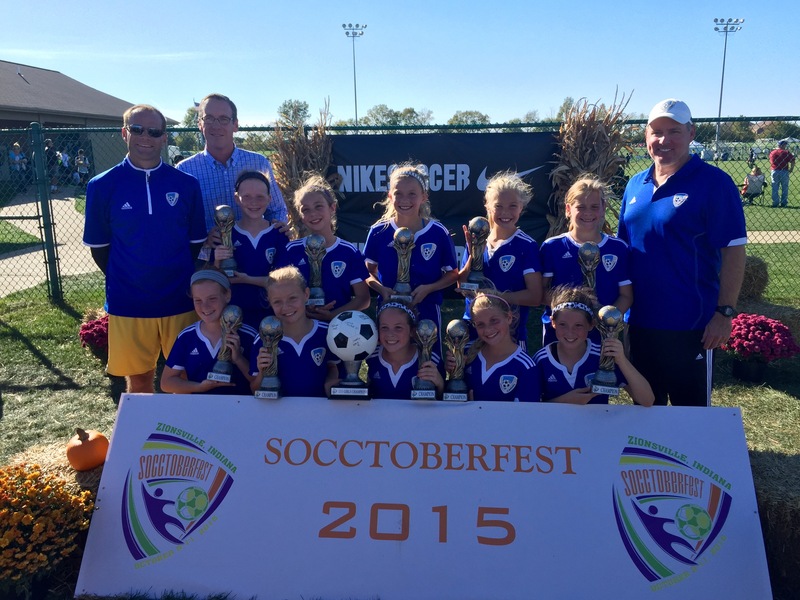 Congrats to the Carmel FC U11 Girl’s Teams under the overall direction of Coach Mark Stumpf won all 3 Division Championships at Zionsville’s Socctoberfest this past weekend. 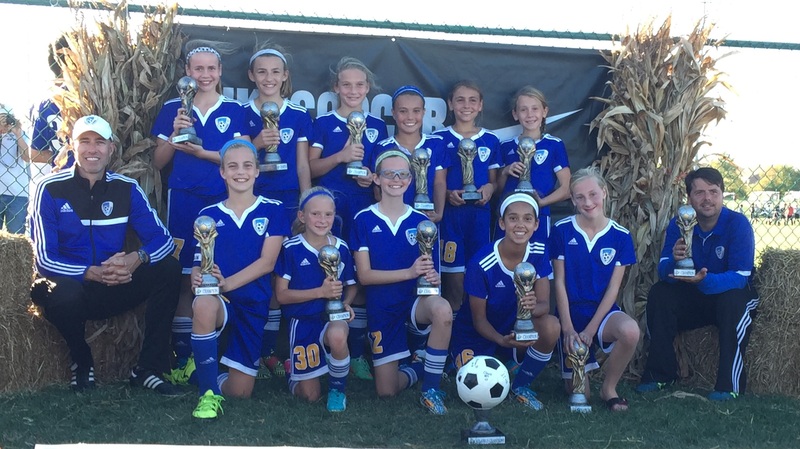 Carmel FC U11 Gold Team won the 2nd division. Coach’s Mark Stumpf on left and Scott Prince on right. Carmel FC U11 Blue Team won the 3rd Division – coaches Erik Barrett and Matt Uber on left and Mike Upton on the right. The Blue team also went undefeated in ISL League play this fall. 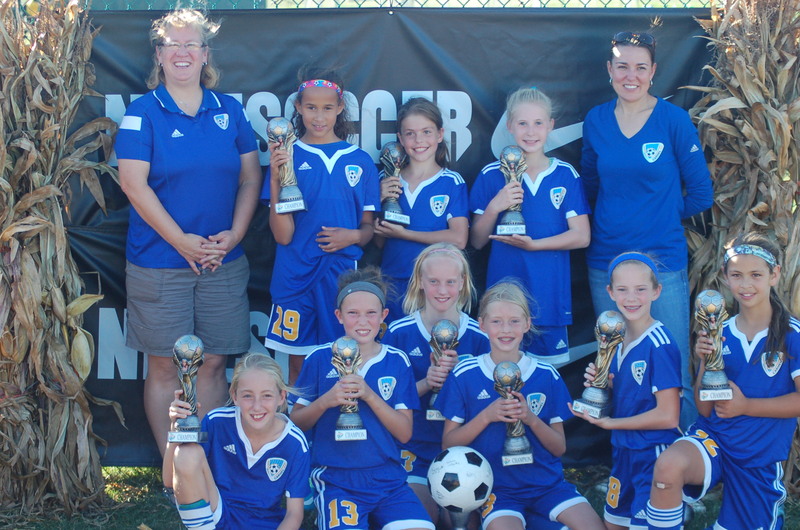 Carmel FC U11 Girls White Team won the 4th division, coach Rene Moyer on the left and Beth Leffler on the right. Musings after Indy 11 lost to San Antonio -1-2.